One of my missions last year was to ensure that I gave back to the community. I was to give 10% of my earnings to a project or a a special person to lift them up, help them out of a financial quagmire, anything as long as I felt it made a difference in someone's life. I managed to do this for only 2 months before I got caught up in the whirlwind of life as a mom, employee, employer, businesswoman e.t.c. To make up for that, J and L(not sure if they want their names in cyberspace) with whom I co-own The Baby Store gave back 10% of our earnings for the 6 months duration we had been open to a baby's reception center here in Kampala. We celebrated L's birthday at the center. The feeling of loss and hopelessness in the center will never leave me. What can make a mother abandon her child? I will never comprehend this but I am determined to do something about it. 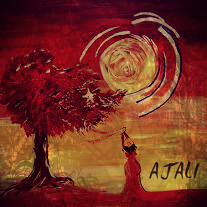 So this year, J,L and I are setting up an project called Ajali which is the Swahili word for Destiny. It will run an incubation program for SME's set up by women based on the TBS(The Baby Store) model. The initiative is meant to provide capacity building, technical assistance, financial support, mentoring and business guidance as well as invest in a woman-led profit venture. But it's not for free. We're doing this in exchange for equity in the venture and a board seat. We are seeking out high-potential, low income women to support to start their own businesses so that they can become financially self sufficient.We already have one lady we are working with. The future is amazingly bright for her. More on her in another post. As Africa continues to rise, so do African women. With the upward economic, social and political trajectory of the continent, a new breed of African women continues to emerge. And we realize that we need to stop complaining about the people who run our nations, put our money where our mouth are, and support these Ugandan Women. "I don't want to be rich in a land of poverty." Think about that quote. AND DO SOMETHING! Shoe obssessed...fashion frenzy for the moment.